How Far is DSMAX SATELLITE? DS-MAX SATELLITE is a G+3 floor construction located conveniently at Kengeri Satellite Town, Bangalore. Namma Metro, which connects to M.G Road, is an added advantage to the residents of this project, as it offers a fast and hassle free journey to other parts of the city. The project is a Vaastu compliant project with remarkable architecture proficiency like technical features, space management, natural ventilation, structure, and attention to details to name a few. It redefines how form and function complement each other to house all the necessities of modern living, while ensuring resourceful use of space. 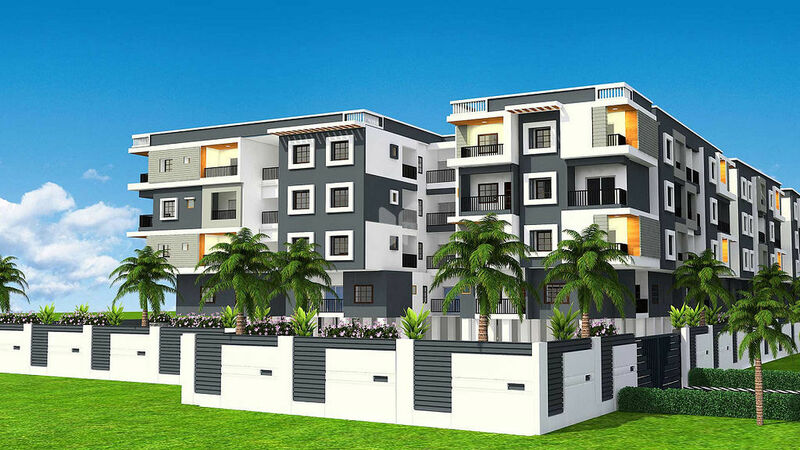 All the amenities are carefully vetted to meet all the modern life requirements, which make DS-MAX SATELLITE the foremost choice for Bangalore's home buyers. It also offers its inhabitants a choice of spacious, brilliantly designed flats aimed towards meeting its customers’ expectations and is equipped with every amenity that your lifestyle demands, along with a massive recreational area that includes a clubhouse. And if this isn’t incentive enough, add to it the advantage of being able to beat the traffic and stroll to work, and you have your dream home. With an array of amenities such as swimming pool, children’s play area and landscaped garden just to name a few, along with panoramic views of the tranquil suburb, DS-MAX SATELLITE provides a balance of an active lifestyle with a luxurious living.